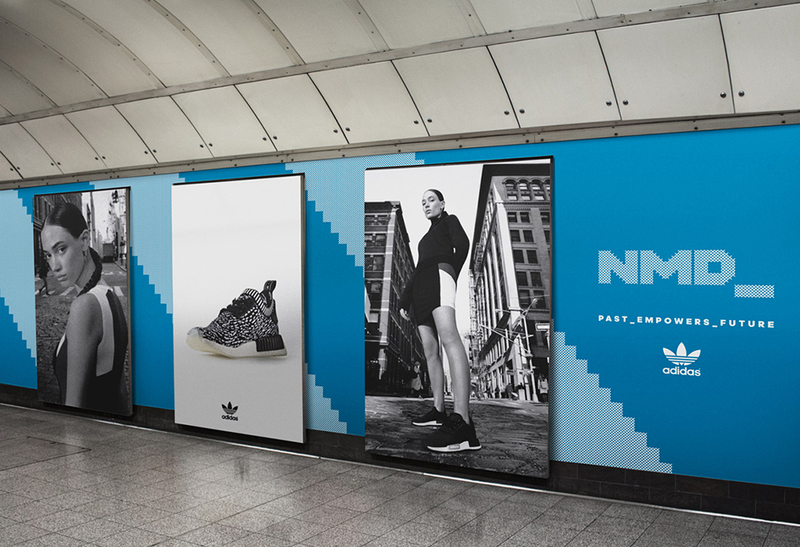 elon Modern, a small design studio based in London, aims high. 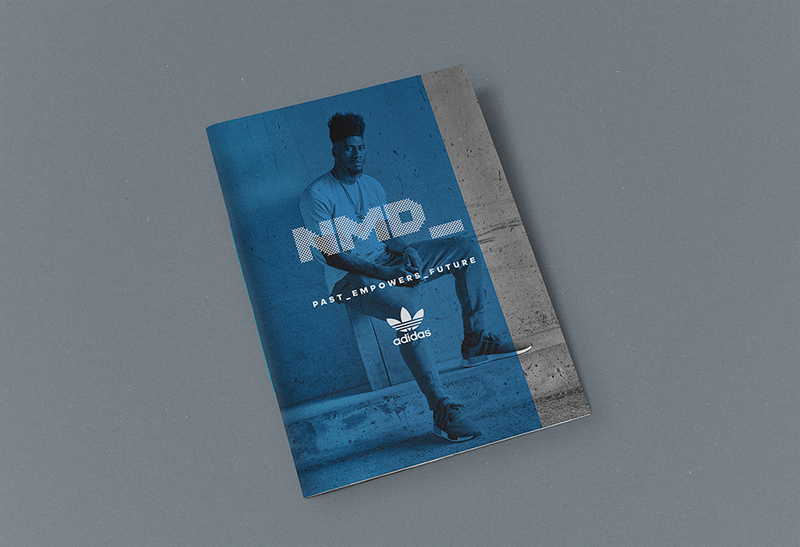 “Our approach to projects as designer(s) is conducted through our multi–disciplinary experience, focusing on the diverse subjects of design; illustration, typography, branding, campaign, editorial, digital design and print” notes the studio. 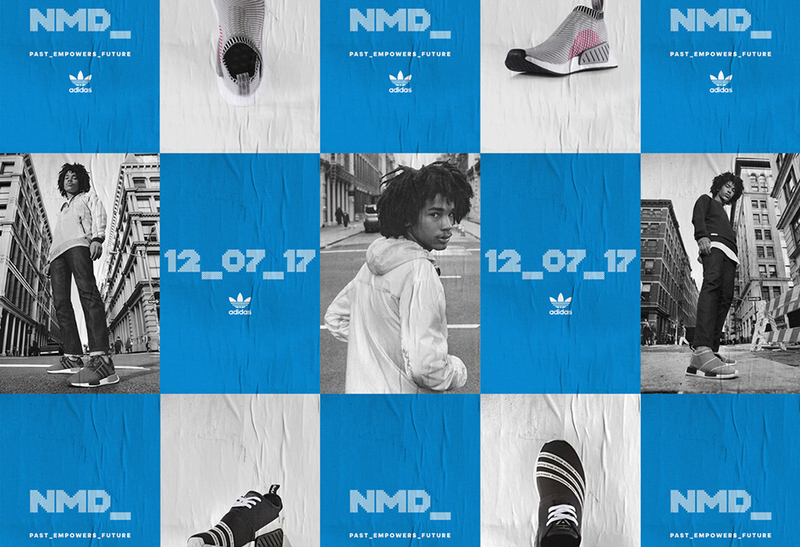 Melon Modern has worked with a variety of clients in the public and cultural sector (companies, galleries, institutions and individuals) and in this project the studio was tasked to create a pitch campaign for Adidas NMD 2017. 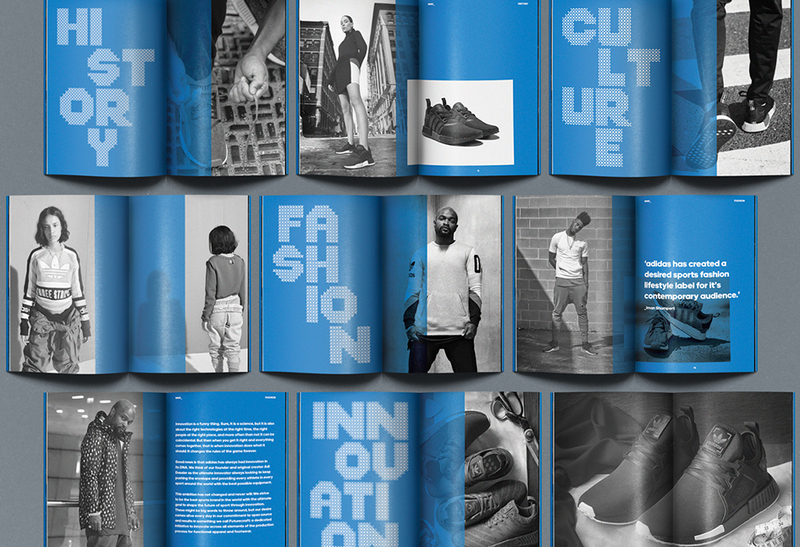 “Our approach was to create a bespoke typeface while overall concept had to maintain brand guidelines. 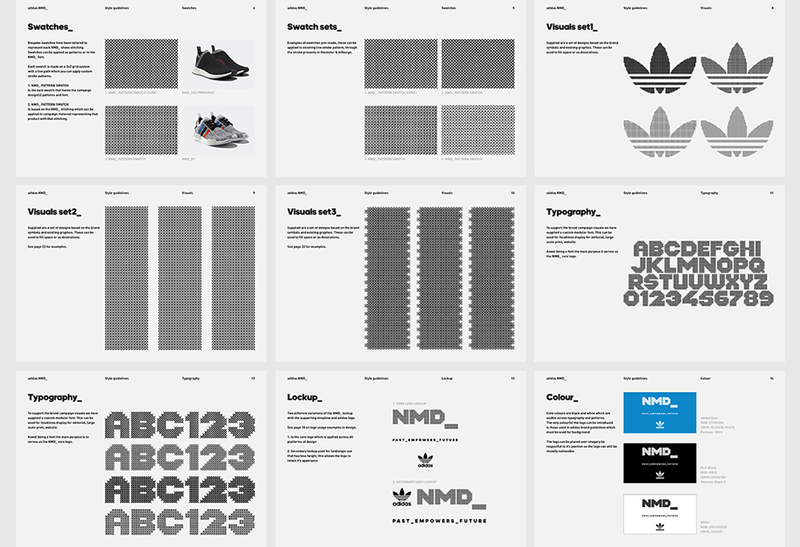 The concept was to create a typeface based on the fabric of the NMD shoe that could change its appearance to correlate with each individual shoe. This was then later incorporated within the editorial display headlines for print and web” notes the studio. 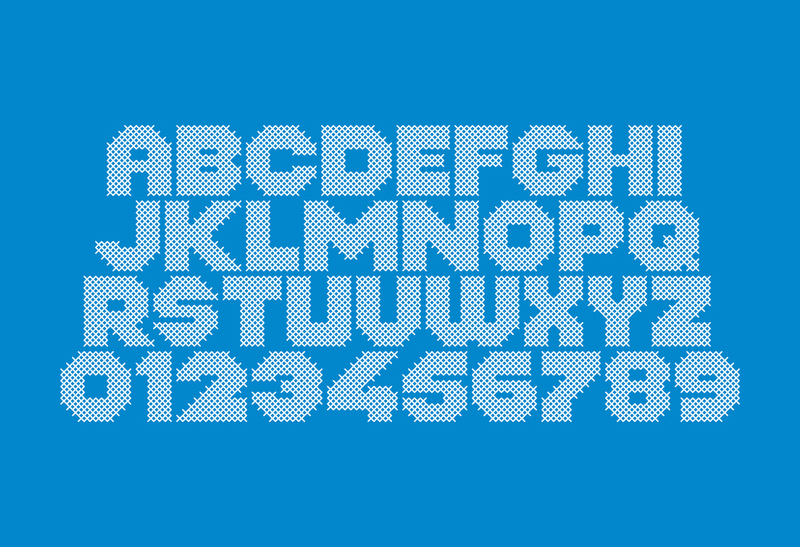 “We set up a square grid ratio, which would be the grid to creating a modular font when adapting the grid to custom layouts on various platforms as this allowed to the typeface, logo and patterns to be resized while fixed to a grid”. 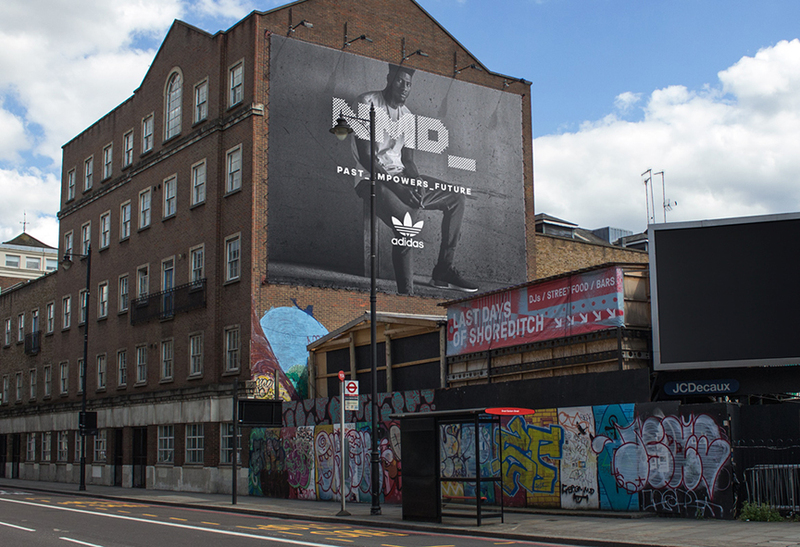 Adidas NMD line is all about progressive simplicity. As function fuses with minimalistic fashion Melon Modern brings its bespoke type to a sophisticated line of products.